Before going to Norway, I had a few preconceived notions about the country: One, that it was expensive. Two, that everyone was tall and Viking-like. And three, that it was full of incredible landscapes. These things were all proven to be (at least partially) true. But I learned so much more about the country while I was there. I learned about its government, healthcare, and social system. I learned that its Viking-like people are incredibly friendly and fluent in English. I learned that it has some awesome cities outside of Oslo. And it learned that it's actually even prettier in person. In May 2015, I spent 10 days traveling around Norway, riding trains, eating seafood, navigating twisting roads, meeting lovely people, seeing incredible vistas, and falling in love with the concept of heated bathroom floors. Even though I was there during the coldest, wettest spring most Norwegians can remember in recent years, I LOVED Norway. Yes, it was expensive — but this is one splurge that I think is absolutely worth it. I started out in Oslo, where I spent two days trying to see as much as I could while battling jet lag. 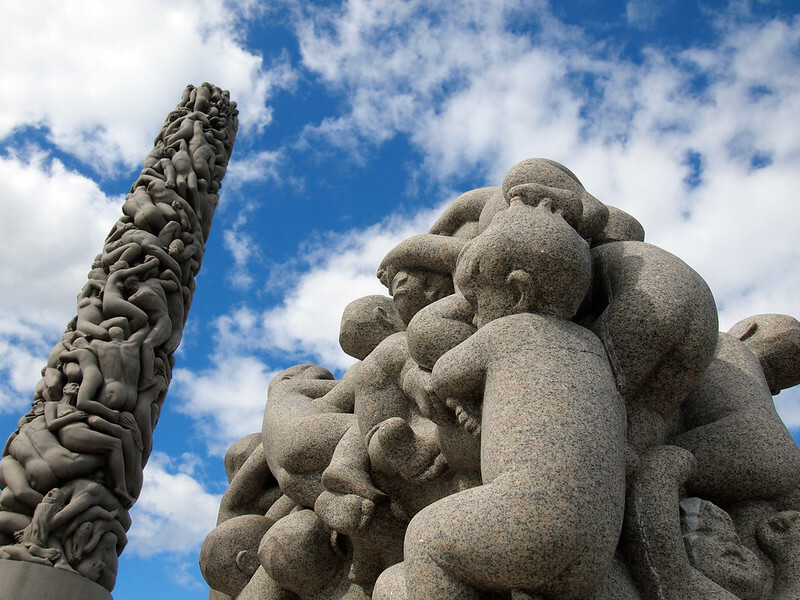 Highlights included a walking tour of the main city sights (like the City Hall, the Opera House, Karl Johans gate, and the fortress), Vigeland Park with its many sculptures, and going to the Viking Ship and folk museums. There's SO much to do and see in Oslo, so I know it's somewhere I'll need to go back to sometime! After Oslo, it was off to Trondheim by train. It rained a good portion of the time I was there, but thankfully the saying “Don't like the weather? Wait 5 minutes” applied here and I DID get some brief moments of sun. 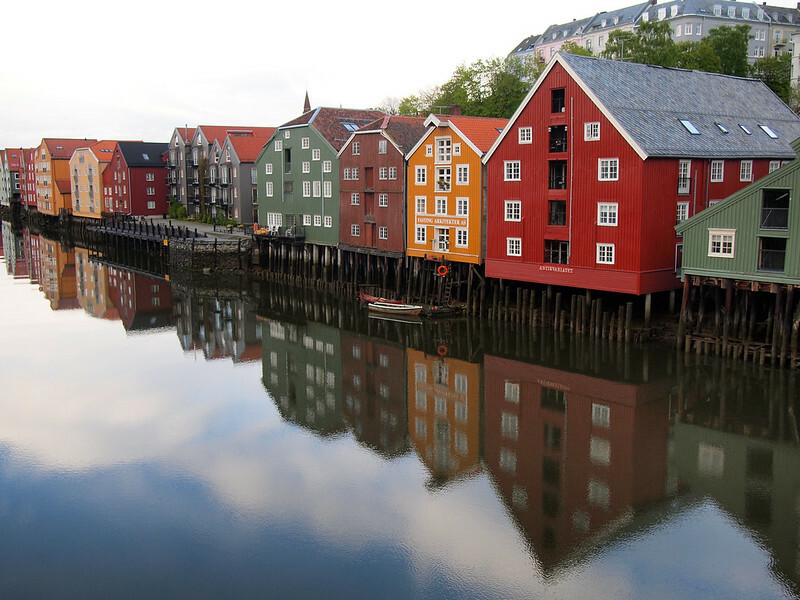 I enjoyed Trondheim much more than I expected to, from the wooden wharf houses in the Bakklandet to the massive Nidaros Cathedral in the middle of town. 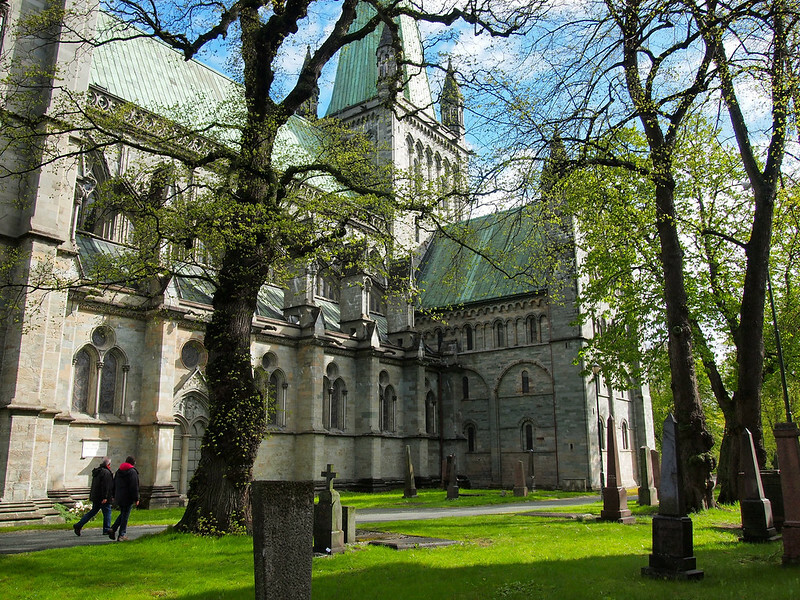 Trondheim gets overlooked by many people because it isn't known for its landscapes – but I still found it to be a very cool city worth a visit. I arrived in Kristiansund by ferry from Trondheim, greeted by more rain and cool weather. I then had a near-panic attack over a mix-up with the rental car I was supposed to pick up there, keeping me from doing much exploring. But then the skies began to clear and a rainbow and beautiful sunset reminded me that everything works out in the end (and it did!). Before leaving Kristiansund the next day, I hopped on a boat tour out to Grip Island. 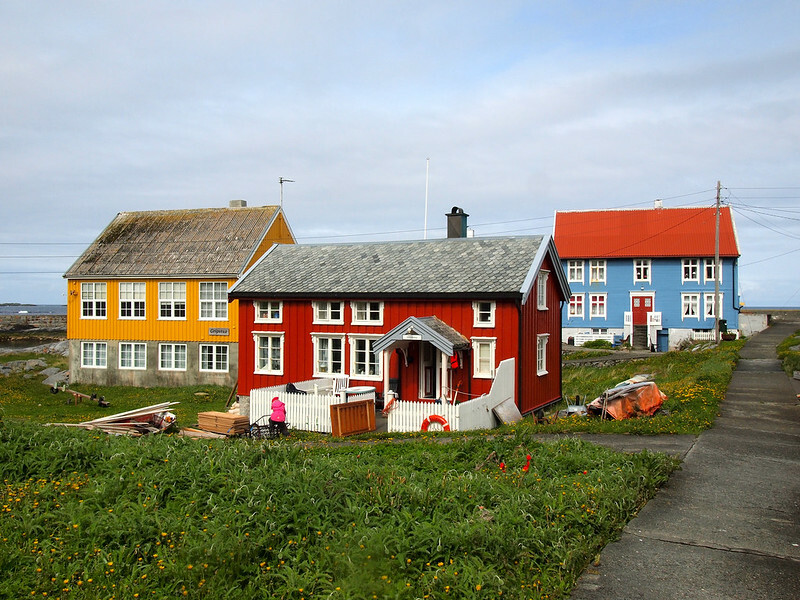 This former fishing village was abandoned decades ago, but locals still use the houses and cabins for summer homes. The weather out at sea was much better than the weather on the mainland, meaning that I once again had a brief meeting with sunshine while exploring the small island. Check out Gripruta to plan your own visit to this very cool island. 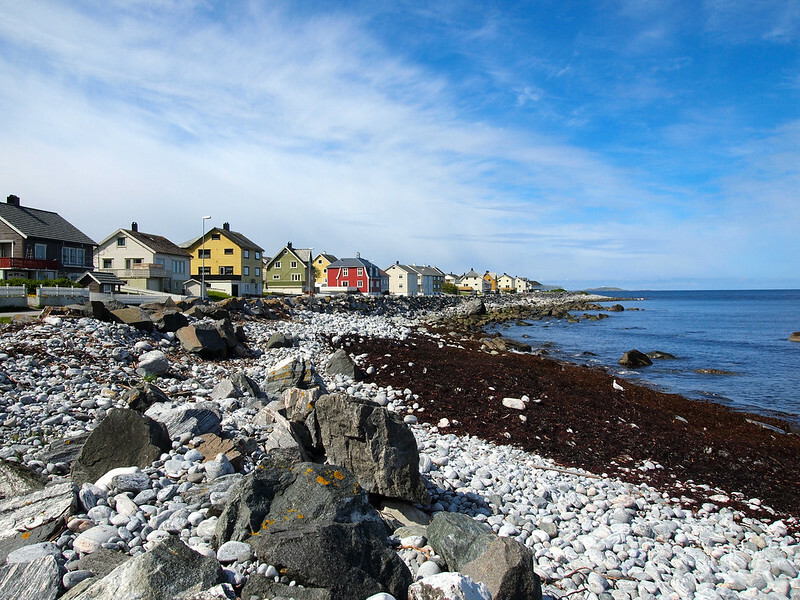 Once back in Kristiansund, I hopped in my rental car and began the drive to Ålesund. 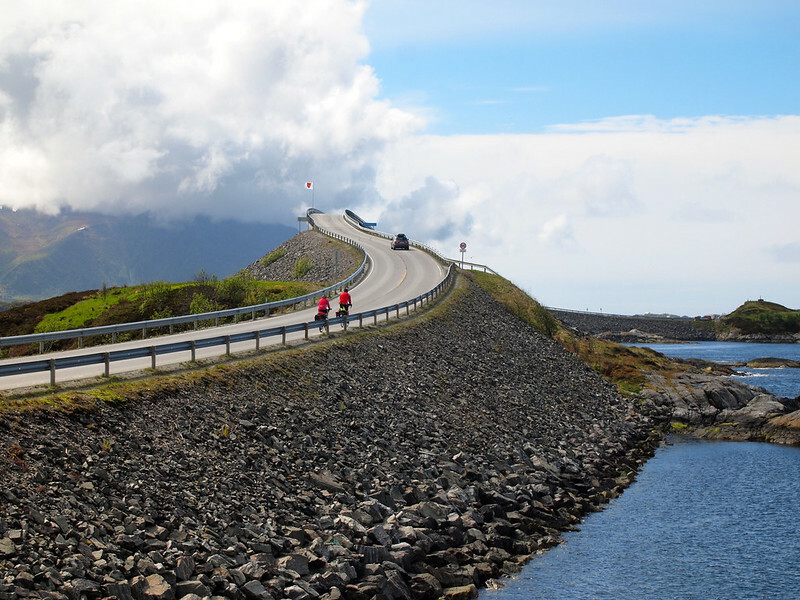 But I didn't take the normal highway there — I took the long way 'round, which included driving along the 8-kilometer-long Atlanterhavsveien, or Atlantic Ocean Road. 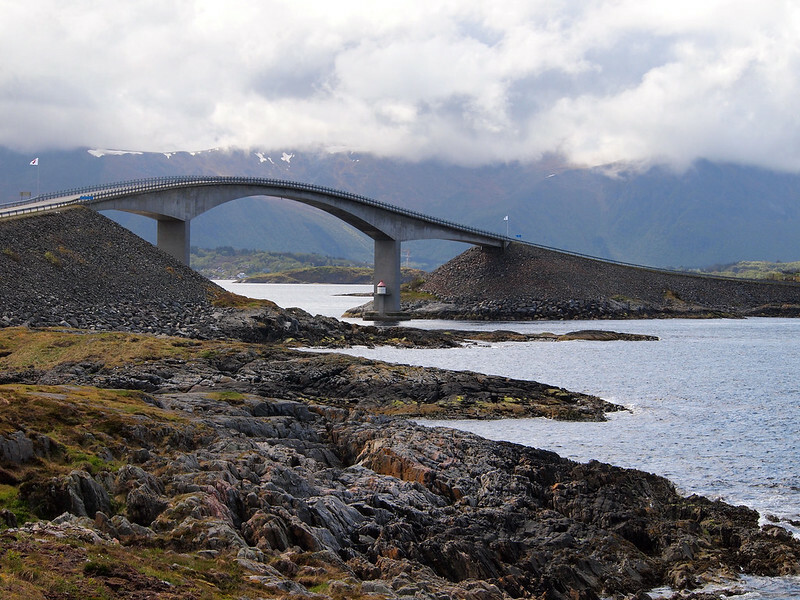 This has to be the most scenic stretch of 8 kilometers I've even driven, with the highlight being the Storseisundet Bridge. 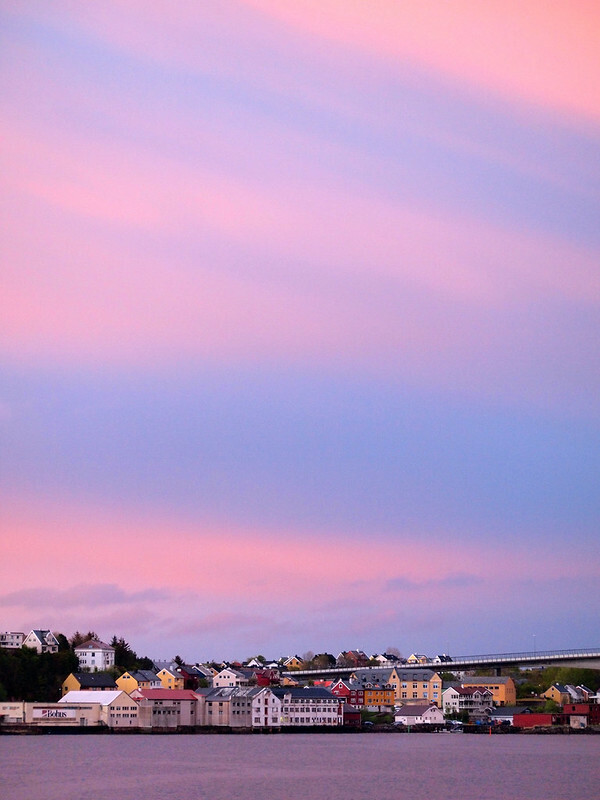 I spent the night of Day 6 as well as the next day in Ålesund, Norway's art nouveau city on the coast. I explored a bit on foot, saw the city from above (it looks fake from up high! 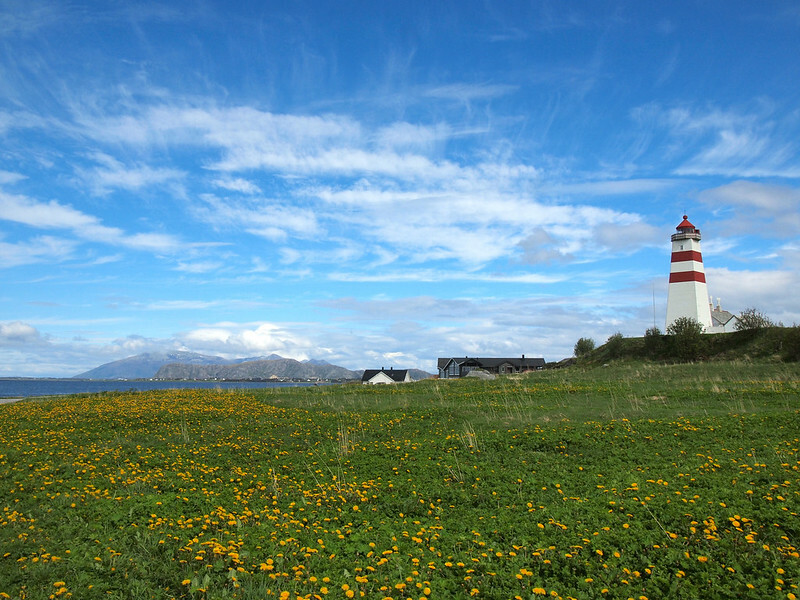 ), visited the aquarium, and even did a short road trip out to a nearby island to see the Alnes lighthouse. 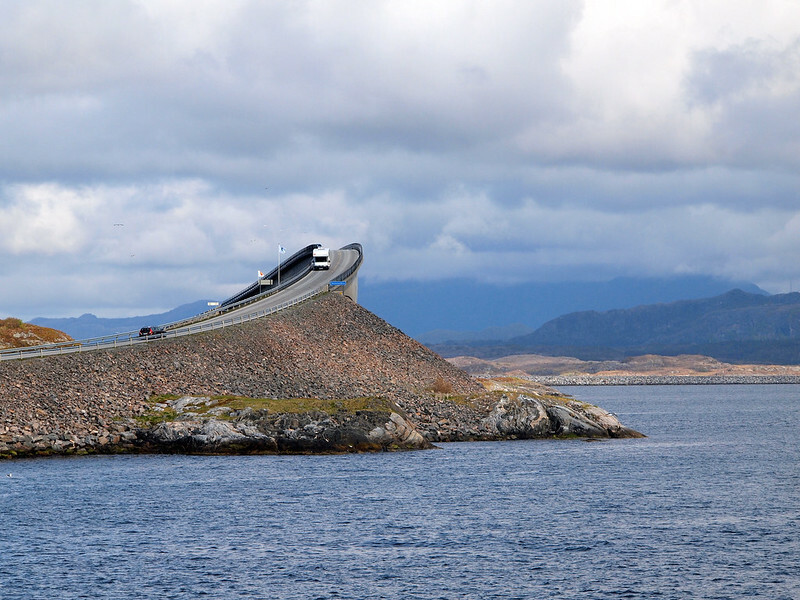 Since Ålesund is built atop a handful of islands, driving between them is interesting — it requires using several undersea tunnels! It was difficult to imagine anything topping what I'd already seen, but Norway's Geirangerfjord managed to do it. I took a car ferry through part of the famous fjord, then used a tiny electric car to explore Geiranger for the afternoon. The viewpoints above the small port town are STUNNING, and even cloudy weather couldn't dampen my mood. I then drove up the twisting Eagle's Road to an adorable guesthouse in Norddal where I ate goat for the very first time. I'm Queen of the Fjord! 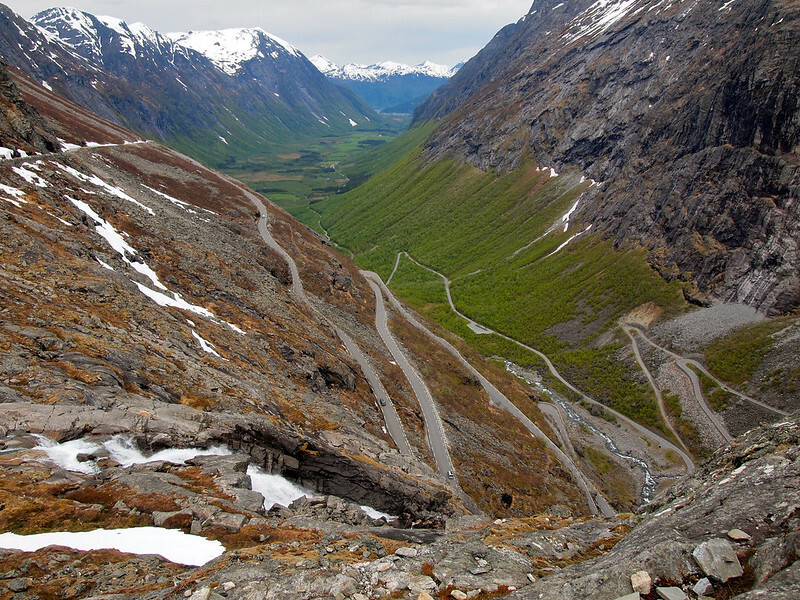 My next driving adventure was down another very short but very cool stretch of road: Trollstigen, or the Trolls' Road. I drove through snowy mountain passes to get there, and climbed through snow drifts to get photos at the top. Totally worth it, though. My adventure more or less ended in Åndalsnes, a small town that's both on the fjords AND surrounded by mountains. A thriving adventure sport scene has formed here (everything from mountain climbing to base jumping), and I got to try stand-up paddleboarding on a river for the first time. 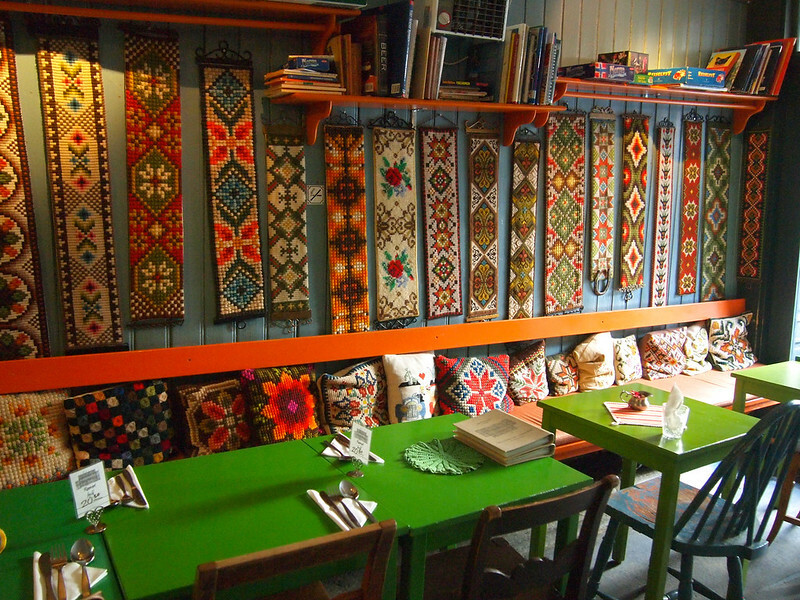 I also stayed in my favorite hotel of the trip, a family-run one called Hotel Aak. Where I stayed in Åndalsnes: At Hotel Aak, which was such an awesome hotel run by a very friendly family. Then next day, I dropped off my car and took the famous Rauma Railway from Åndalsnes to Dombås, and then continued on to Oslo and my final night in Norway. I didn't do the typical “first time in Norway” route that usually includes Bergen — but I'm actually glad for that. I got to see some really awesome parts of the country (some I'd never even heard of before), and feel like I have a much better feel for Norway, its people, and what it has to offer now. Plus, Bergen will always be there next time. 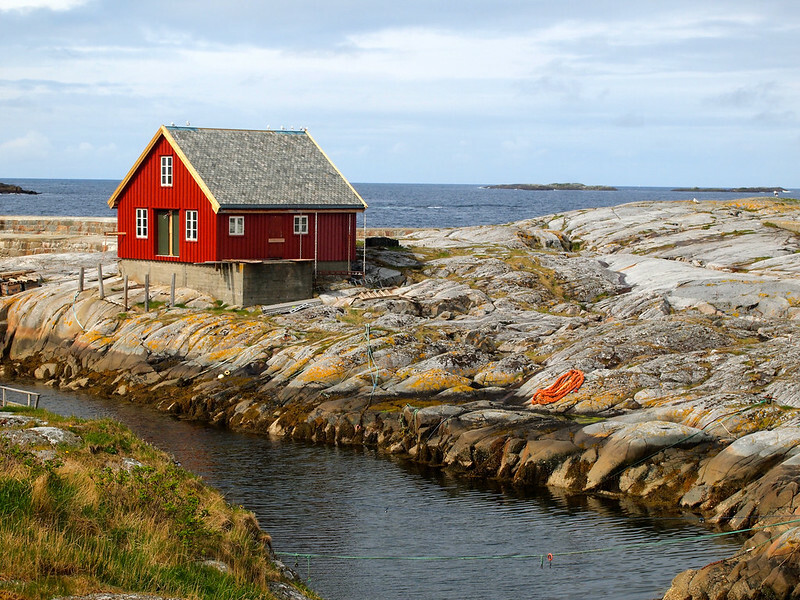 Which of these destinations would you add to your own Norway itinerary? Thanks to Innovation Norway, Visit Oslo, Visit Trondheim, Fjord Norway, and NSB for making this trip fantastic! As always, all opinions are my own, regardless of who is footing the bill. Norway in a Nutshell: What Is It, and Should You Do It? Sounds like you had a great trip! I traveled to Norway for the first time this January, but didn’t get to explore as many places as you. I really enjoyed Oslo, Bergen and the Norway in a Nutshell fjord tour, but would love to see Troll’s Tongue and some of the cities you made it to! It was an amazing trip! 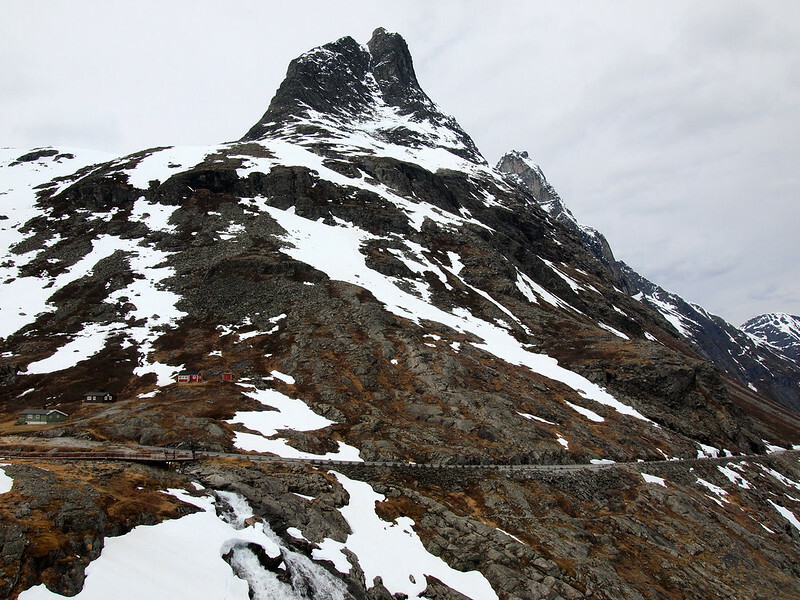 Next time I’d love to go really far up north, to Tromso and the Lofotens! Love Norway. I have been going to Oslo twice a year since 2012. I have not explored it as much as you did though. My favorite thing in Oslo is to go to the Opera House. I did go to Tromso in January to see the Northern light. Stayed for 7 days. I LOVED IT. The people up north are eve more friendlier. 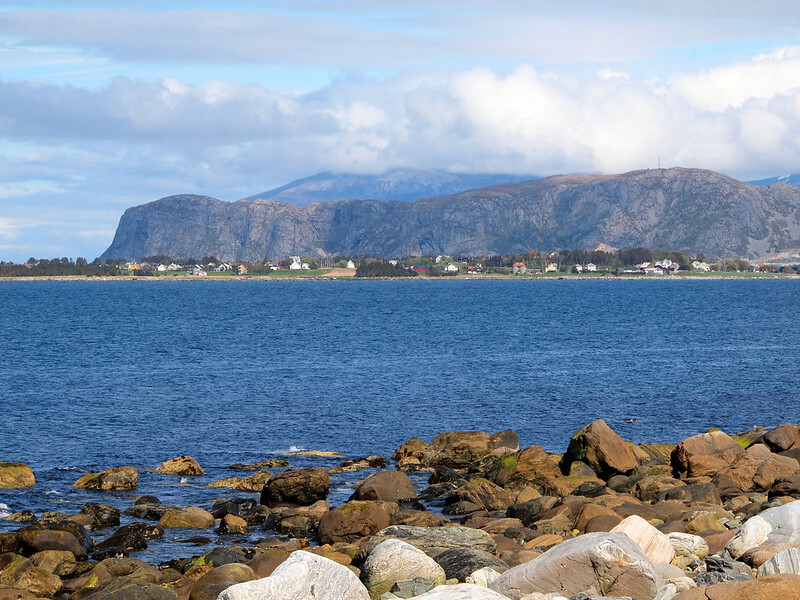 I hope to get to northern Norway one day – I’ve heard it’s amazing! I love Norway. One of the most beautiful countries I’ve been to, with really lovely people. Your photos are great! I’d heard that the people were nice, but I was blown away by just *how* nice! I can’t get over that insane bridge! I am so looking forward to all of your Norway posts, Amanda! Did you feel like 10 days was a good amount of time for your first visit? For the places I visited, yes, I think 10 days was a good amount of time. I would probably suggest two weeks, though, to anyone else doing this same itinerary. I could have used extra days in a couple of places! Oh sweet baby Jesus be still my heart. These photos are amazing Amanda! Norway is one of my favourite countries and it brought back great memories to read this. Can’t wait to go again! Thank you! 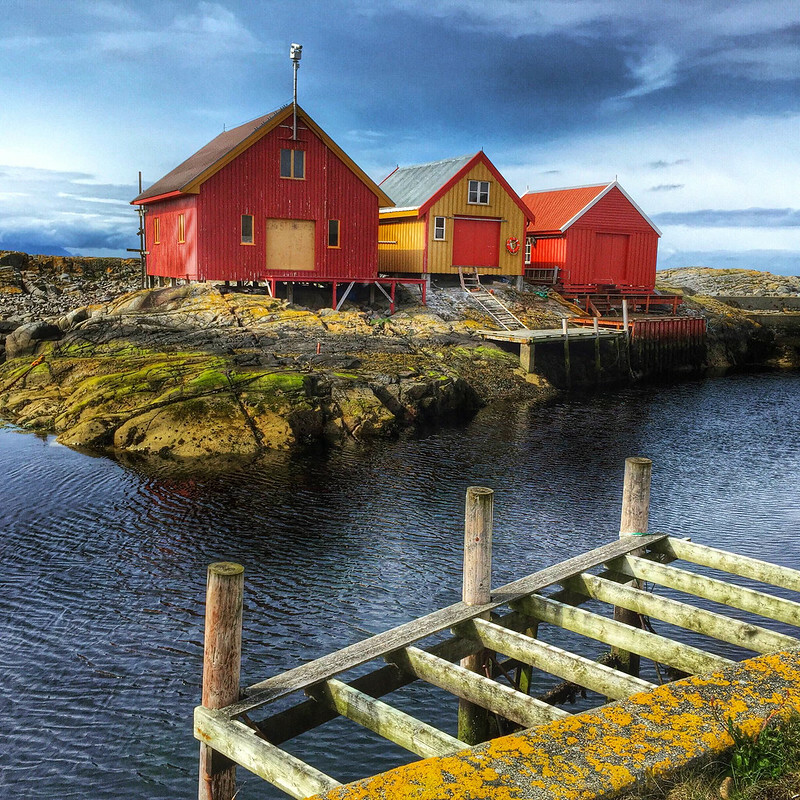 Norway definitely lived up to expectations – I’m already dreaming of my next trip there, too! Norway was on my list for this year, but I couldn’t quite get it together to make it a reality in 2015. 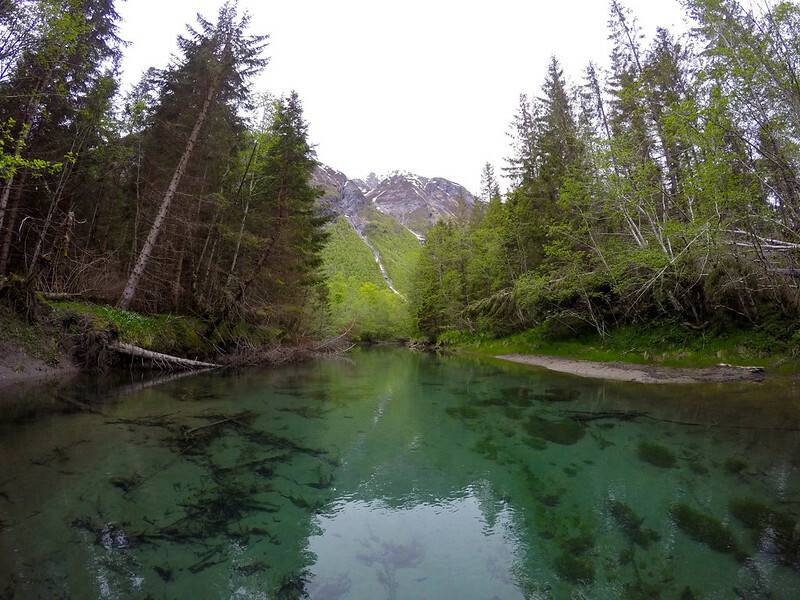 These pictures make me really want to rearrange my list to make sure Norway makes it to the top in 2016. Thanks for sharing!! You definitely should fit it into your travel plans for 2016!! These photos are absolutely incredible! Yeah, just like Iceland, the expense is totally worth it! Airfare can be cheap, yes, but the rest can be pricey. Food especially is expensive, as well as rental cars. Hotels aren’t *too* bad, but it depends on your budget – if you’re hoping to spend $50 a night, you won’t find many options in that budget in Norway. Your pictures look amazing!! Norway is on my list and I’d love visit someday in the near future! I hope you get to, Priya! Number one on my wish list of countries I haven’t yet visited in Europe. My favourite countries are Iceland, New Zealand and Canada so I know I’m going to love it! Yup, you will love it! I found it really similar to New Zealand in a lot of ways (though, NZ is still my favorite!). I swear, every time your blog posts, social media updates or Instagram pics appear in my timeline your photography is better and better, and this post – WOW! It’s such a colourful city and that architecture… ahhh, I need to book myself a flight now!!! Can’t wait to hear more about your Norwegian adventures, Amanda! Aww shucks thanks lady! Norway is such a photogenic place, though. Even in crappy weather it was stunning! 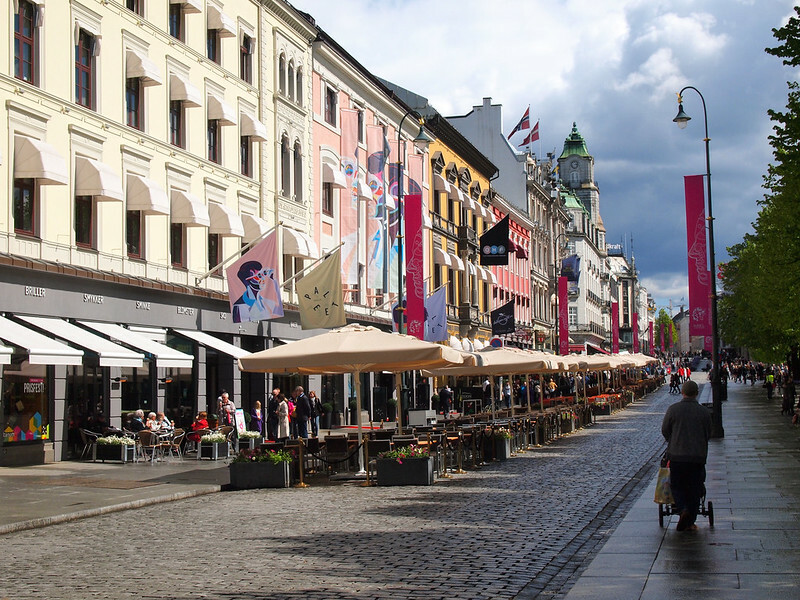 Oslo is still top on my list when it comes to visiting Norway, but again, i don’t think i would leave that country before visiting Trondheim and Alesund, the coastal area. Am obsessed with coastal areas! If you love the coast, then definitely don’t skip Alesund or Trondheim (which is also on the coast)! Both very cool cities. Aww yay! I get very excited when other people are excited about what I’m doing. Lucky you that you got to live there for a while! Norway can get really less expensive if you can manage to replace your meals with Norwegian kinda food in any convenience store, and can replace the train journeys with the express buses etc. For the fact, the express double deck buses are not difficult to travel in ! They have the moderate offerings such as coffee, tea and wi-fi, at free of cost. Good tips, Ana! I’ll definitely be sharing a few of the ways I found to save money in some of my upcoming posts! I thought Geiranger might be a bit too touristy for me to really enjoy (especially after visiting some of the empty fjords in New Zealand), but I was wrong. It was amazing! I’m looking forward to sharing more photos from there! So glad you enjoyed Norway, and I’m excited to read more about your trip! I’m moving to Trondheim in a couple of weeks (eek!) so I was relieved to see you didn’t hate it, ha. I LOVED Trondheim! Partly thanks to Lisbeth, who was my tourism contact there. She has such a passion for the city that it rubbed off on me! It’s both the cycling AND foodie “capital” of Norway, so it’s definitely got some cool stuff going on. 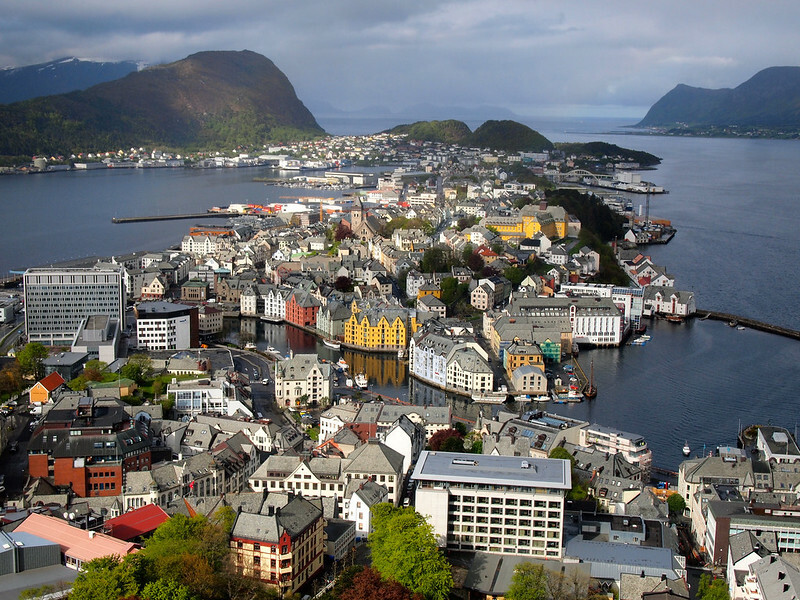 I used to grow up in the Geiranger/Ålesund area (Stranda) & it is in my blood. A pity the weather wasn’t on your side, really. As I now live close to Bergen, I can only say that it is a bigger version of Ålesund (though the mountains for sure ain’t bigger). I can’t really take much credit for the itinerary – Innovation Norway / Visit Norway USA planned most of it. But I more or less told them that I of course wanted to see some of the highlights, but also wanted to visit some cool places that other bloggers haven’t written much about yet (so, basically, no Bergen!). I’m so happy with the result, and I’m looking forward to introducing people to these places in my coming posts! Wow, you’ve fit a lot in your trip. Norway looks positively paradise-like. Sigh, here’s another one for the bucketlist — it will never stop growing! That’s the funny thing about bucket lists – I feel like you always add more than you cross off! I crossed off a few things on this Norway trip, but think I added even more Norway stuff than I crossed off! Haha. so Nice That you liked our country. Im from Kristiansund. And you made my town sounds so Nice. Thank you. I didn’t have enough time for Bergen on this trip. And, quite honestly, I was excited to visit some places that others I know haven’t been to! I was an exchange student in Oslo many years ago. Went back for a reunion and went to visit my host sister. She lives near Trondheim. We took almost the same trip you did on our way back to Oslo. Such a beautiful country. You must go back to Tromso. Northern Norway with the midnight sun and northern lights is something not to miss. Just found your blog and can’t wait for more adventures. Yes, I would love to go back and see the far north of Norway! Even though I know it would be cold, I’d love to go in the winter, in hopes of seeing the Northern Lights there! It’s definitely a place that you want to see more of after that first taste! Grip Island in particular looks interesting. Were there locals out there you speak with? A teahouse or anything to rub shoulders and get a better idea of what’s going on out there? Great trip! I am planning almost same kind of trip where I spend 10-14 days traveling all across Norway. What was your budget for your days? Can you please give me a rough breakdown of how much money was spend and on what? That’s my biggest hurdle, trying to figure out how much money I need to have saved up for car rental, gas, hostels, etc. Thank you so much! Hey Denis! Since I worked with various tourism boards on this trip, I’m afraid I don’t have a detailed breakdown of costs. BUT, I would suggest to budget more than you think you need! Hotel rooms seem to be around $100-$200 per night, plan on at least $20 per meal (or more), and a rental car (and fuel) will set you back a bit, too – picking up and dropping off in different cities made my car rental REALLY expensive! Love that rainbow shot! I saw a similar one in Kashmir recently. Norway is on my bucket list. Let’s see when I am able to make it there. I’m interested in reading about whole of Norway! Bring it on! I have lived here for 60 years, so it warms my heart to read articles likes this 🙂 I’m a keen amateur photographer (www.bjonefoto.no), so I really appreciated all your lovely photos! I’m traveling around in Norway with my RV in the summer and have visited many places, but you have found some pearls that is not “crossed out” on my map yet. They are now on my “to-see-list”, which will never be full, even if I live to be a hundred years old. 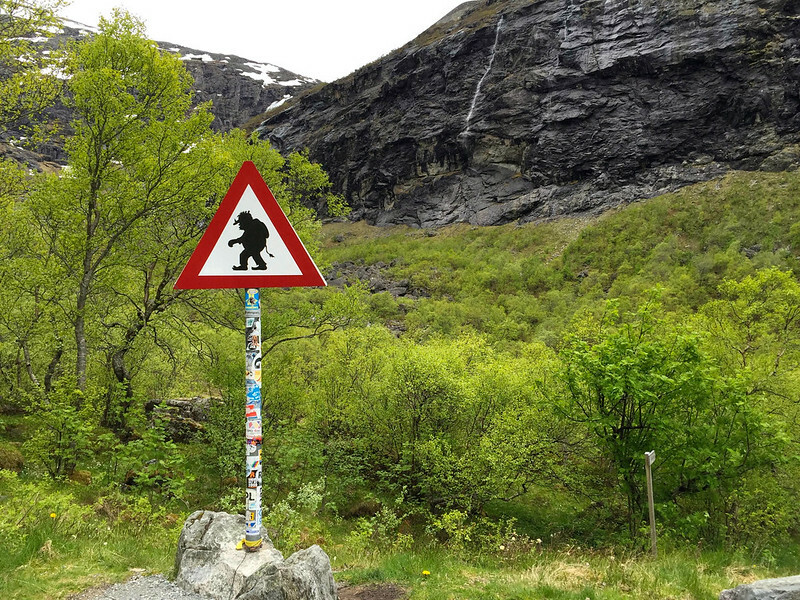 The Norwegian Public Roads Administration (NPRA) is responsible for developing National Tourist Routes as an attraction, and they have spent a LOT of money on this project, and still are. Thanks for the very helpful tips! 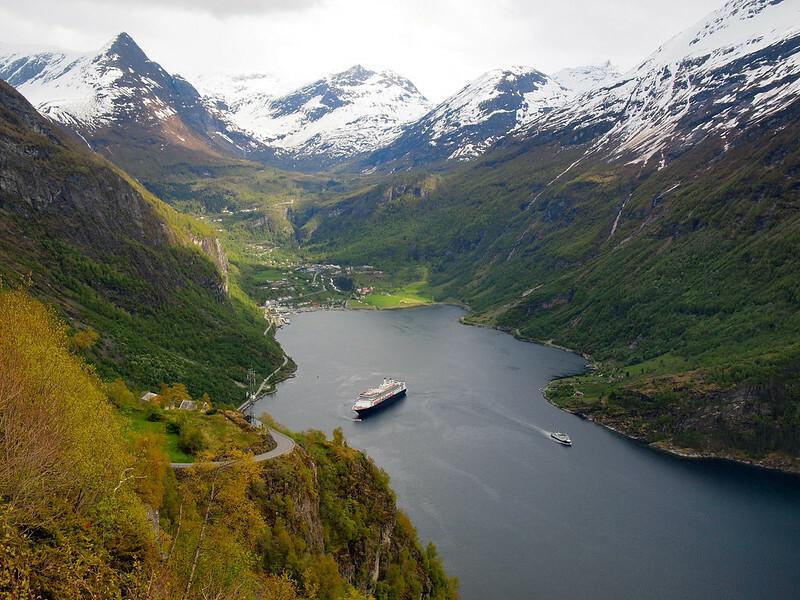 Traveling around Norway via RV sounds like such a great way to see it! This was such a fabulous article. 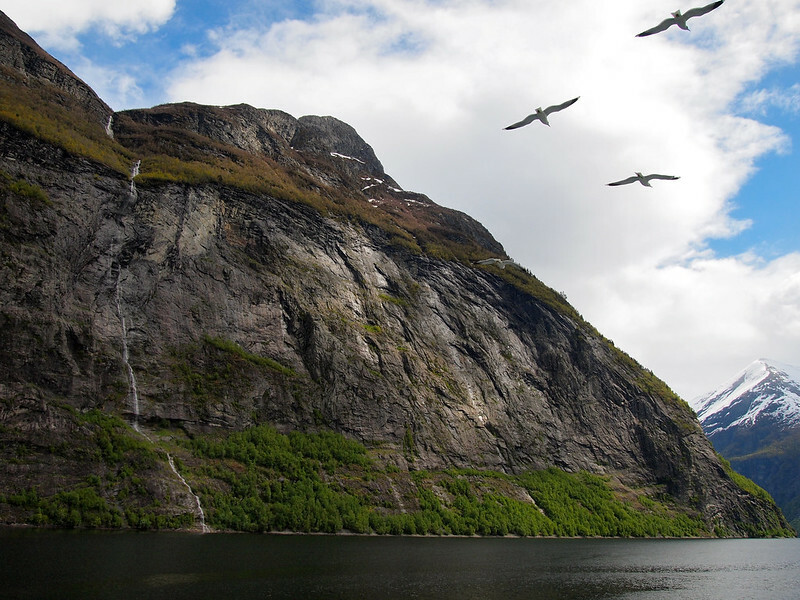 Norway, especially in the fjords, looks so much like New Zealand!! Did it have that feel? You know how much my boyfriend and I enjoyed your recommendations for South Island New Zealand next year!! My grandma and grandpa were from Norway and I hope to visit there in 2016! Loved your pictures and information. I’ll be waiting to see more. I’m debating whether to travel with a tour or not. Did you have a travel agency plan your individual tour? Sounds like it would be a really cool trip for you! The tourism board(s) I worked with planned the trip for me, but it would have been easy to do on my own, too. If there are certain places you really want to see, I would recommend planning it on your own rather than going on a tour! Norway is really easy to get around, and everyone speaks great English. Nice article. I have lived in Norway for the last 19 years and I love it. I live in Bodø at the moment, Northern Lights in the winter and the Midnight Sun in the summer 🙂 In 2016 Bodø will be celebrating its 200 year anniversary, so there will be lots to see and do and may well be worth a visit. Nice! On my next trip, I definitely want to go to the far north of Norway! This sounds like a fantastic trip! Selfishly, I’d love to hear more about Alesund because AirBaltic has a direct flight there from Riga. Do you think it’s worth going for a weekend? Wow, you fit in so much in 10 days Amanda, did you get any sleep?! You explored different parts of the country from me on my recent trip, and it all looks wonderful… I’m glad I have a good friend in Oslo who keeps inviting me back to Norway, I’ll wander off that way next time! Haha, yes, I slept – though not as much as I would have liked! 😉 It was also hard to get work done when I didn’t want to miss anything! I definitely had some very long days. But it was so worth it! Woow! I’ve just came for 10 days in Norway, so I couldn’t resist to read your post! You have been in so many places! I definitely need to go back and visit the north! Your pictures are AMAZING! Car hire can be pretty pricey – someone told me renting in Sweden is cheaper than in Norway, but I don’t personally have experience driving in any country other than Norway, I’m afraid! Whoo hoo! There’s nothing BAD about going the typical Bergen route, of course – but I really did love this trip! Did you do a R/T from Oslo? Where did you drive after Aleseund? Yes, I did a round trip from Oslo. I dropped off my rental car in Alesund and took the train back to Oslo. Do you think this trip is possible during December? OMG I’m drooling with jealousy! I’ve been dying to make it to Norway and this just pushed it closer to the top!!! I’ll be pinning this for sure! Glad to be able to provide some pinsperation! Do you mind sharing a more detailed itinerary here? I’m planning to go there one day but I’m not into cities and your itinerary seems like a perfect fit for me. I don’t have plans to write a detailed itinerary, I’m afraid. But the order of the cities listed here is the order in which I visited them! I took a train from Oslo to Trondheim, a ferry from Trondheim to Kristiansund, then rented a car and drove all the way up until Andalsnes. Then I took a train back to Oslo. Hope that helps! Hi Amanda! I loved your blog! So So good! 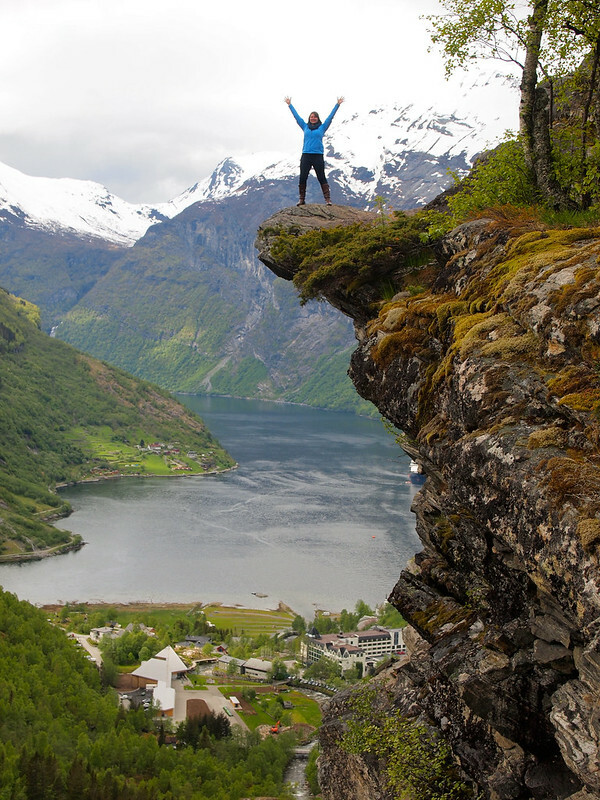 We are heading to Geiranger in June-could you tell me where you were in that picture (the one with your arms up)? Thank you for the speedy reply and the link! I have read it more than once already. 🙂 We love to rent cars in different locations and get off the beaten path too. We are also going to Iceland and I have learned so much from your adventures there. I feel very fortunate that I found your blog! If you can splurge on it, the little tiny eco car I rented in Geiranger was SO FUN, and such a neat way to explore the area around the fjord. I did look into renting an eco car but since there will be 4 of us it was more cost effective to rent a car from Hertz. They only have 3 cars available so I snagged a reservation as soon as I knew we were going to Geiranger. We will be there on a cruise so we need to maximize our time for sure! Ah yes, a regular car does make more sense then! Great blog, really enjoyed ready through your Norway trip! We were thinking of doing something very similar, so my question to you is, what would you change (if anything) and why? Would you go further North? We have 10-12 days, so could spread a little further if you thought it was worth it – if so, where? If you have a few extra days, I would maybe tack on Bergen since it’s probably the most popular city that people visit in Norway. I did the north of Norway on a second trip – I think trying to do both north and south at once is too much in less than two weeks since travel distances can be pretty far. Brilliant, thank you Amanda! We are thinking 2 days in Oslo, then the scenic railway to Bergen, pick up a rental car and just hike and explore the places you went to. Last question, did you prefer the North or the South trip? As for north vs. south, they were such different trips! I was in the south in spring and loved all the cities and landscapes. And then I went up north in the winter for snow and northern lights, which was also awesome. The trip up north I did was much more activity-focused, while the trip down south was more about sightseeing. 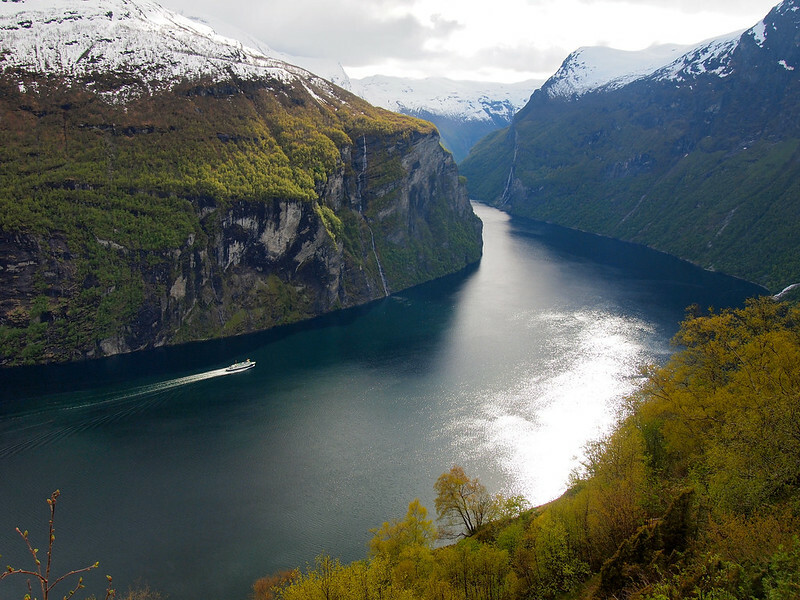 Very beautiful photos u have here.. I’ve been dreaming to go to Norway but no luck just yet..:) Very useful tips and will surely try to visit all the places mentioned if i ever step my feet here…:) Geirangerfjord looks very picturesque, by the way. Norway in general is very photogenic. I hope you make it there someday! This post gave me loads of ideas for our trip next summer! I love that you ventured off the beaten path a bit. Glad that I gave you some ideas! 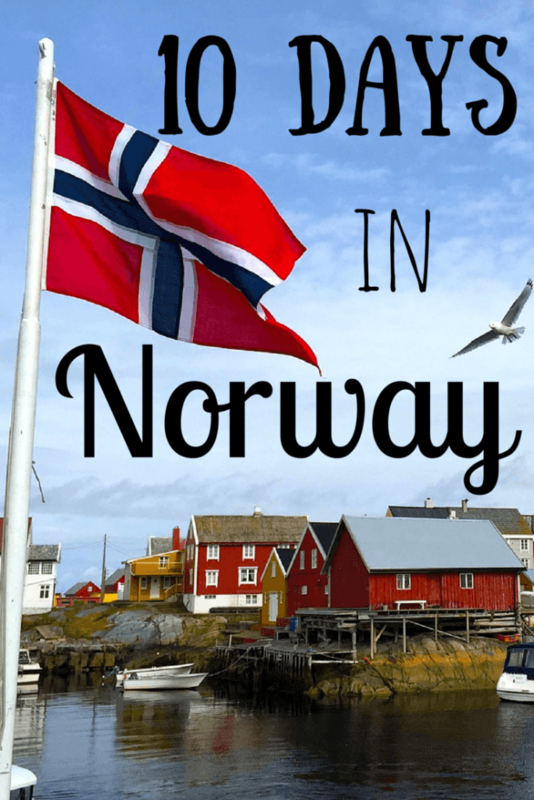 There’s SO MUCH to see in Norway – it’s really tough to narrow it down! Awesome to hear! I’m sure you’ll have a great time! Hey Amanda, I have an upcoming trip to Norway in about a month (a very spontaneous flight reservation). Now that I write that sentence I’m starting to panic a little since I haven’t made any reservations at all… in any case, your itinerary looks great and I’d definitely be open to going the load less traveled so I’m starting to look at hotels and cars around this itinerary. If you have another 3 days, you could totally add a couple of days in Bergen. Maybe take the train from Oslo (or look into doing the “Norway in a Nutshell” tour, and then fly from Bergen to Trondheim to start your road trip. I took the train from Oslo to Trondheim, and then from Andalsnes to Oslo so I was only driving for part of the time. That would give you maybe 2 days in Bergen – it’s a very cool city well worth visiting if you can fit it in! Thanks for this highlight reel of Norway. 10 days sounds great, longer might be too expensive though with all the camping it might be easy enough. 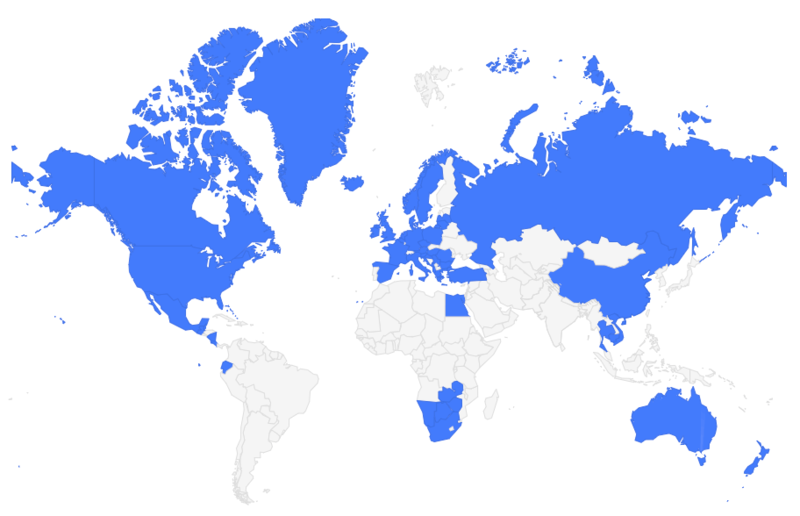 Curious though, if you had 15 days or 20 days what other places would you have visited? I’m looking at different spots and looking at flight info. Threw out some love on a review I saw, that might be helpful. I’m located in the Philippines so it might be some time before I get to Norway but am saving this article. If I had more time in Norway, I’d probably add on Bergen (the Norway in a Nutshell tour is a great way to get from Oslo to Bergen), and maybe some time way up north in Tromso or the northern islands. Love the itinerary, and such awesome pictures too! I just started planning a trip that would include a short visit to Norway. Probably won’t be able to do much outside of Oslo, but now I’m going to have to push for a longer stop in Norway! Looks amazing. It’s absolutely worth a longer trip (or two or three! haha)! I LOVE this post! 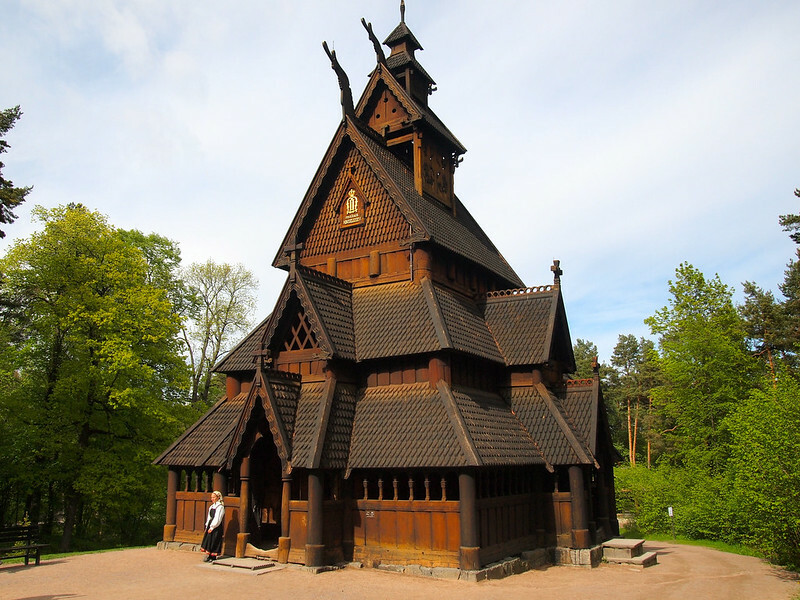 I am prepping my 7 day trip to Norway right now, and love the Idea of this. I do however travel for food. I hike and bike and do nature for sure, but my driving force is FOOD. What did you experience and what did you love on this trip? And see, I’m totally not a foodie at all! There’s great seafood in Norway just about anywhere you go, though, so I had a lot of that! I’m afraid I don’t have specific restaurant suggestions, though. Amanda, Your 10 Day Norway Itinerary is helpful as I plan a trip for my husband and myself in August. I’m a little confused when I follow it on a map. You went from Trondheim down to Kristiansand and back up to Alesund? Can you share why you chose to do it that way? I do like the idea of driving the Atlantic Highway. 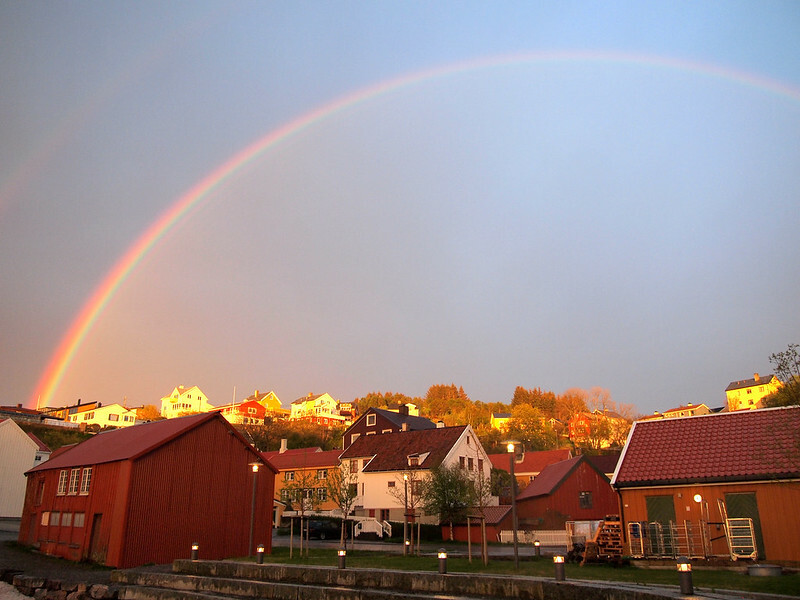 Norway is so colorful and charming, Amanda! Your highlights are so inspiring and they definitely whetted my appetite. I will have to add Norway to my bucket list and explore it soon. Are then days enough to see all the highlights there? 10 days is long enough to see one region of Norway, I would say. On my first trip, I focused on Oslo and central Norway. On my second trip (which was 7 days in the winter), I focused on Northern Norway. And my *third* trip was split between the north again and Bergen. If you wanted to see ALL the highlights in Norway, I think you’d need at least a month! I’m afraid I don’t have any personal experience getting around Norway with public transport, but there ARE buses and trains that run to many of these places – you’d just need to do some research yourself to see if you could reach all of these cities easily!